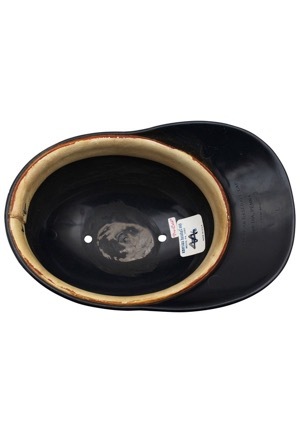 On the inside shell is the American Baseball Cap size “7 3/8” manufacturer’s sticker. Handwritten on this sticker is the player number “44” in black marker. 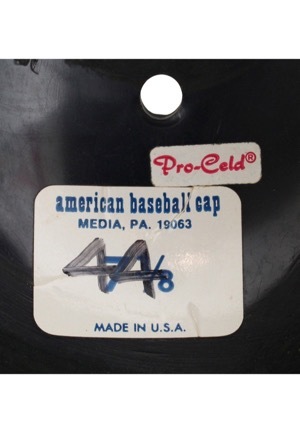 The player number “44” is also handwritten on the rear inside padding and on a piece of cloth tape on the brim. On the front of the helmet is the Yankees “NY” interlocking logo decal and on the back is the “ABC” manufacturer’s decal. 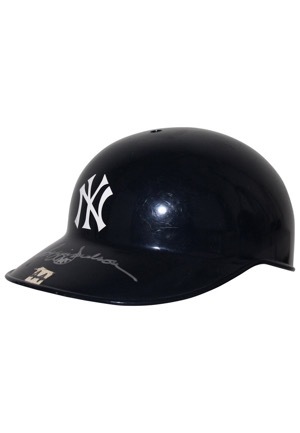 Jackson signed the brim of the helmet in silver marker and in our opinion the signature rates a near 9. 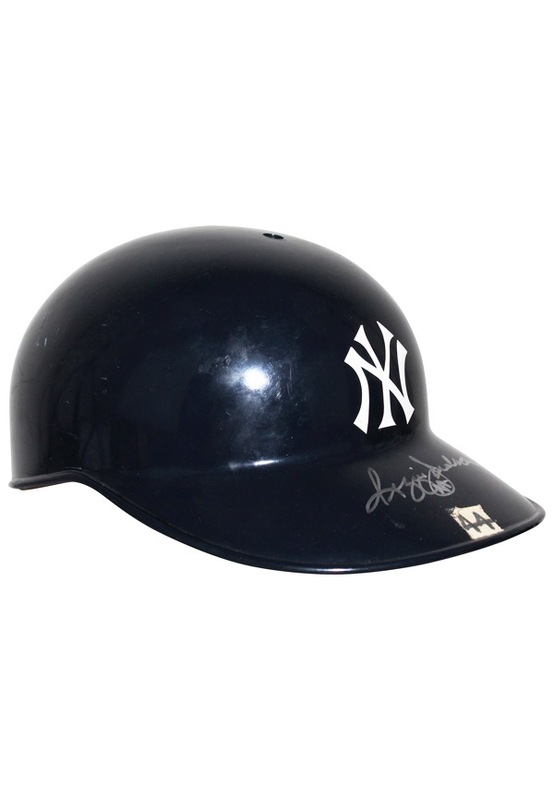 This helmet is properly tagged, was presented to us as game-used and shows use attributed to Reggie Jackson. Accompanied by a LOA from JSA.